Step up to the plate this season and win BIG! The BetUS BettorUp Contest is simple: each month the player with the most winning baseball wagers (any bet type, $25 minimum wager) wins a $500 Free Play! At the end of the regular season, the player with the most winning baseball bets overall wins a 52” Plasma 1080P HDTV, delivered in time to watch the World Series! Get paid to watch TV? 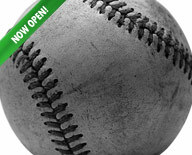 The BetUS.com MLB Sunday Night Contest makes the weekly primetime game that much more exciting! It’s an opportunity to maximize your viewing pleasure and win MASSIVE Free Plays! Each week pick all of the wager options for the Sunday night ESPN game and the player with the most right at the end of each month will receive a $500 Free Play. Our top three players at the end of MLB’s regular season will win a $2,000 Free Play for first place, $1,000 Free Play for second and a $500 Free Play for third! Go on a winning streak this summer! 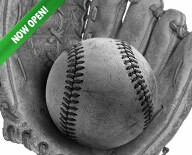 Win consecutive baseball bets and you could win a huge BetUS Sportsbook Free Play or $25,000 in cash! Bet on MLB between Opening Night and the end of the regular season. Win ten bets in a row of $10 or more to receive a $500 Free Play. Win 15 bets in a row to receive a $1,500 Free Play. Win 25 bets in a row, and you’ll get $25,000 in cash!